This camp teaches kids how to develop an idea and turn it into a business. Students will develop their own service or product ideas and use market research to choose the best one. Building on their idea, they will identify their needs and create a business plan including competitive analysis, marketing plan, and financial forecast. 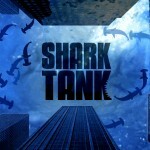 On the last day, students will present their business plans just like on the hit TV show Shark Tank! Maybe your child can be just like Maddie Bradshaw in this video.